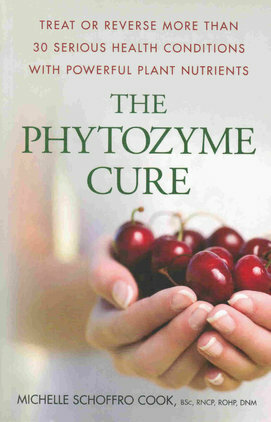 In this groundbreaking 266 page e-book, award-winning natural health expert, Dr. Michelle Schoffro Cook introduces Phytozyme Therapy--a revolutionary all-natural diet- and nutrition-based plan that combines the healing powers of phytonutrients and enzymes to strengthen our immune systems, protect our bodies from diesease, and even reverse the signs of aging. From helping to prevent heart disease and speeding weight loss to removing inflammation and attacking cancer cells, these powerhouse compounds have been found to have countless health benefits. Download Your E-Book Now for Only $16.95.